She has fired arrows into two Turanian warriors and is about to draw her fatal arrow against them. In the middle is a late Sassanian commander knight (Framandar) and to the left is the Marzban of Abarshahr who has drawn his sword. In Sassanian Persia, women acted as warriors, commanders and leaders. 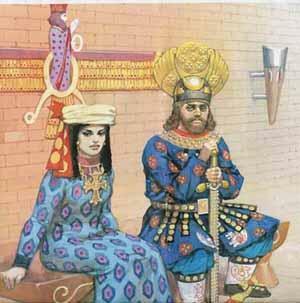 I was especially fond of the reconstruction of Khosrow II and his beautiful queen, Shireen (see below). Dr. Farrokh’s reconstruction of Shireen’s dress is based on his research at Tagh-e-Bostan (near Kermanshah) as well as isolated regions in western Iran, especially the Qaderi Kurds, among whom many Sassanian female dresses still survive. As you see in the reconstruction, Shireen was a Christian (note her cross). 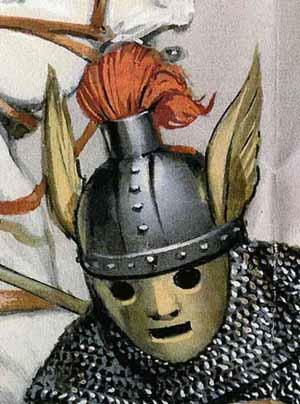 At first glance, the above painting resembles a “European” knight. In fact, these types of knights first appeared amongst the Iranian peoples and the Sassanians in particular. The world owes so much to the Sassanian Persians. It is from the Sassanians that we have inherited the term “rank” system in the west – Dr. Farrokh notes how ‘rank” is derived from “Rang” (colour) in Persian. Even the game of chess is Persian – the Sassanian knights engaged in this to develop their mental agility and prowess. The game of Polo is originally Persian – Ardashir I, the founder of the Sassanians, was find of Polo. 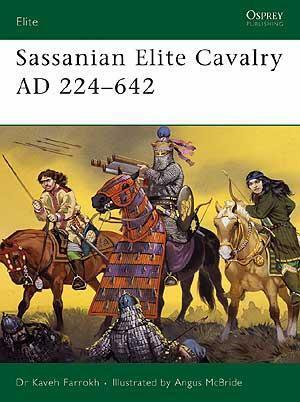 The Sassanian knights were not only warriors, but also scholars and artists, fond of learning. Despite their downfall in the 7th century AD, the legacy of the Savaran endures in Europe, the Caucasus, China, India and the Muslim world. 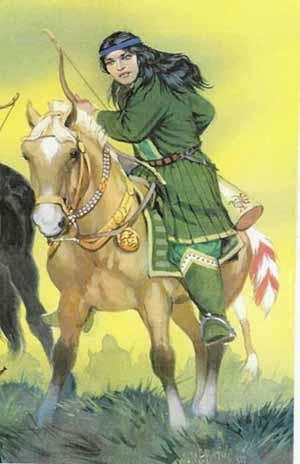 It was the elite cavalry of Sassanian Persia who were the forerunners of the later Medieval European knights, the Arabian Faris, the Caucasian horsemen, the Indian Suwar (derived from Persian Savar), and the Turkish Tarkhans. This book has bought an almost forgotten great people back to life. Every year we seen dozens of new books about Rome and Greece in western book stands, and very few book of the caliber of Dr. Farrokh’s book about Persia. It is my hope that more books like these will be printed; after all Sassanian Persia and her Savaran knights are an important part of world civilization. The above depicts the banner of Persia’s mythical hero, Kaveh. Dr. Farrokh displays all the banners used by the Sassanians during their reign. 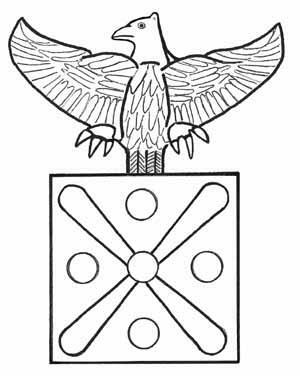 Note how similar the eagle symbol is to that seen among many nations of the world today. Persia has given so much to the world and is appreciated so little.